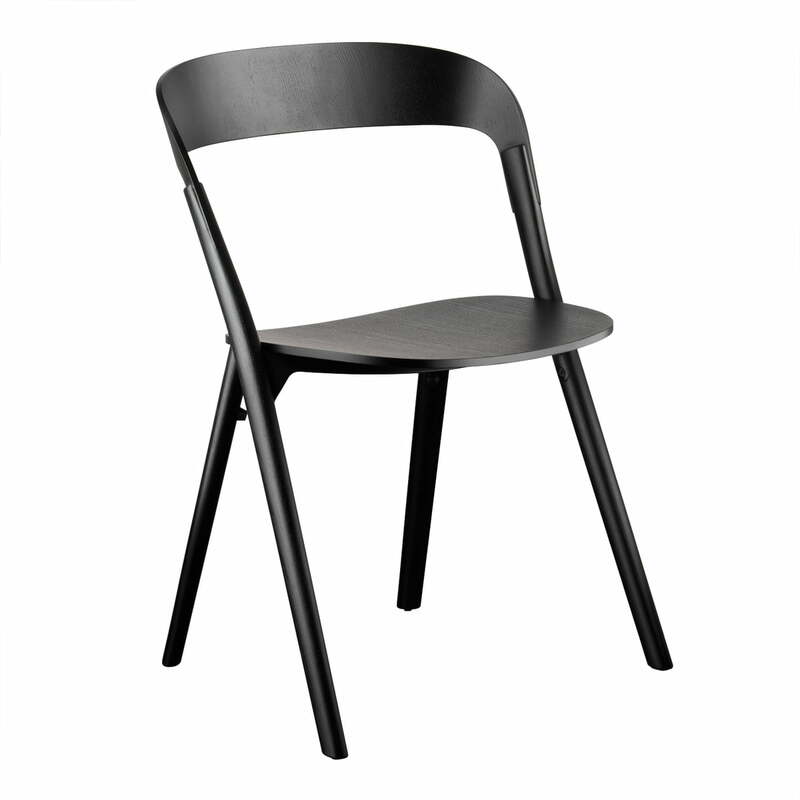 The brothers Ronan & Erwan Bouroullec designed Pila for Magis in 2012. 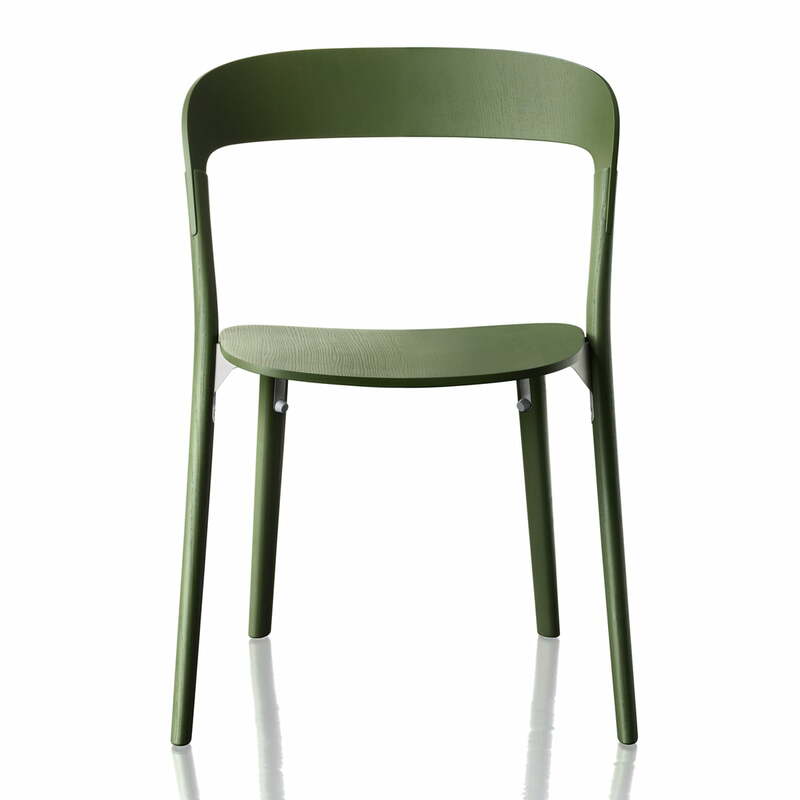 The filigree and weightless form of the chair is a wonderful contrast to the natural wooden material it is made of (first production 2013). Ronan & Erwan Bouroullec especially thought of minimalistic elegance when they designed their Pila chair: A design as elegant as possible with as little material as possible. That’s the reason why the Magis Pila chair isn’t only very weightless, but also the design gives the impression of being floating. The ash plywood made seat is carried by four filigree feet out of massive oak wood. 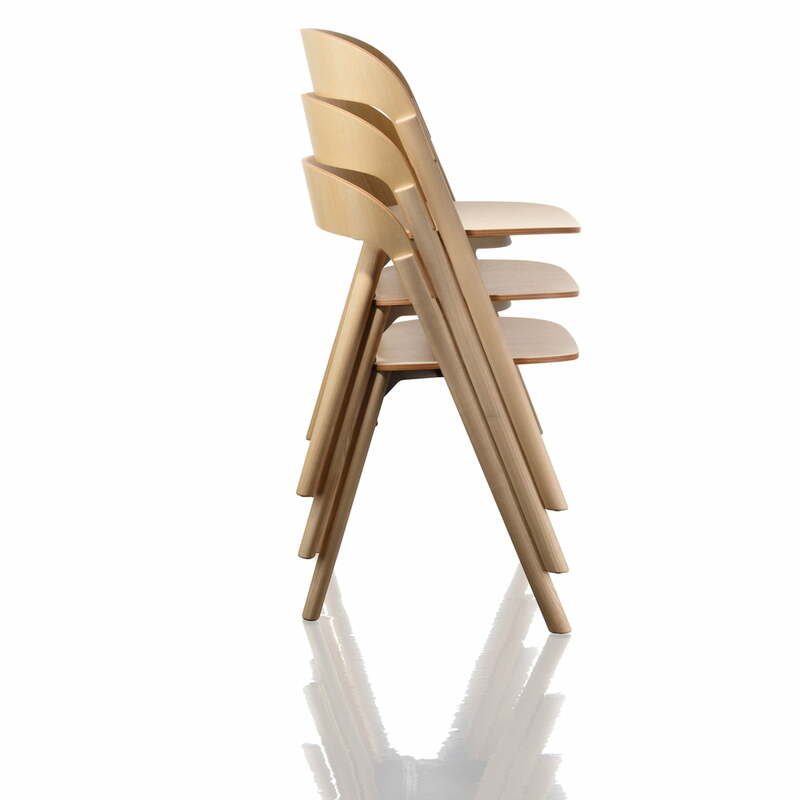 The backrest, also consisting of plywood, ends up in the chair’s feet. A filigree aluminium construction, which is hidden under the seat, ensures stability. 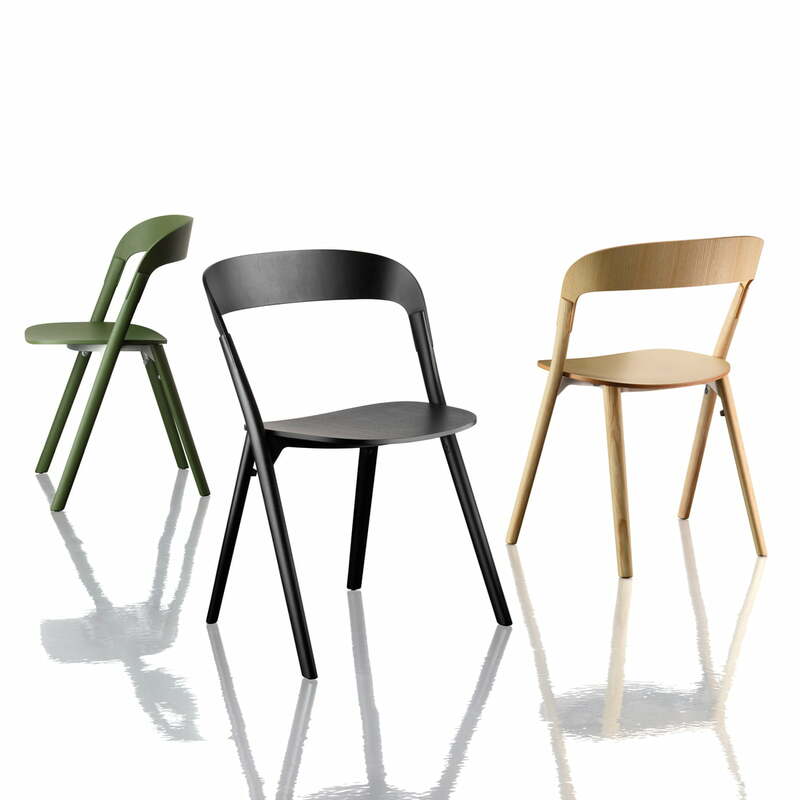 Pila is available in different editions in natural or stained ash wood.